Is your Krups coffee maker sputtering, coughing or spitting? 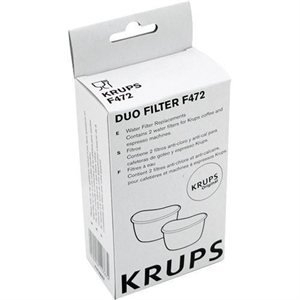 Your Krups Duo Filter 472 may be clogged and in need of replacement. When your filter is clogged with minerals it can slow or even stop water from flowing properly through your coffee maker. One way to determine your filter's condition is to remove it and try brewing coffee without it in place. If your coffee maker's performance improves under these conditions, then you may benefit from replacing your coffee maker filter. 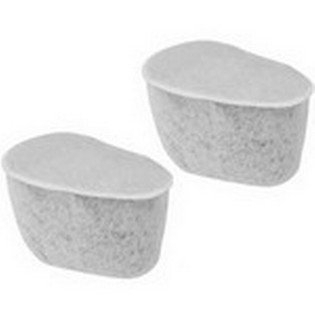 Many customers also notice an improvement in flavor when a new 472 duo filter is installed. Purchase this new pair of original Krups duo filters to keep your coffee maker running at peak levels. 176 180 398 458 466 467 619 625 629 FME1 FME2 FME214 FME4 FME414 FME5 FME514 FMF014 FMF4 FMF414 FMF5 FMF514 KM4055 KM4065 KM5055 KM5065 KM611850 KM611D50 KM7000 KM7005 KM8105 KP1010 KT4065 XP1500 XP1530 XP224050/1P0 XP228050/1P0 XP228050/1P1.